We met on a wonderfully brisk but bright morning, ready to hit the gnarly flows of the mighty Loop. The water was set at a lovely low to medium level that allowed everything to be paddled with ease (unless your name is Boothy and mess up the weir in a canoe). We started at New Bridge and made our way down the river stopping every now again to play. Grant decided to play too much with the foliage and learnt that hugging trees is not always the best of fun. Once this was remedied we moved on down the river on our lovely little bimble. 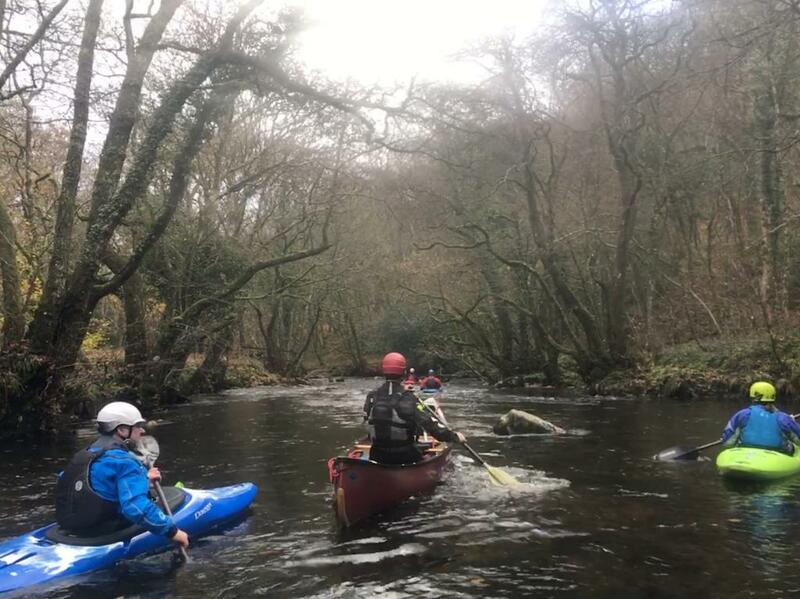 The group had a lovely time learning new skills and brushing the cobwebs off old ones as they passed through the different sections of the Loop. Once we made it to the Dart Country Park we started our next section on the Lower Dart. 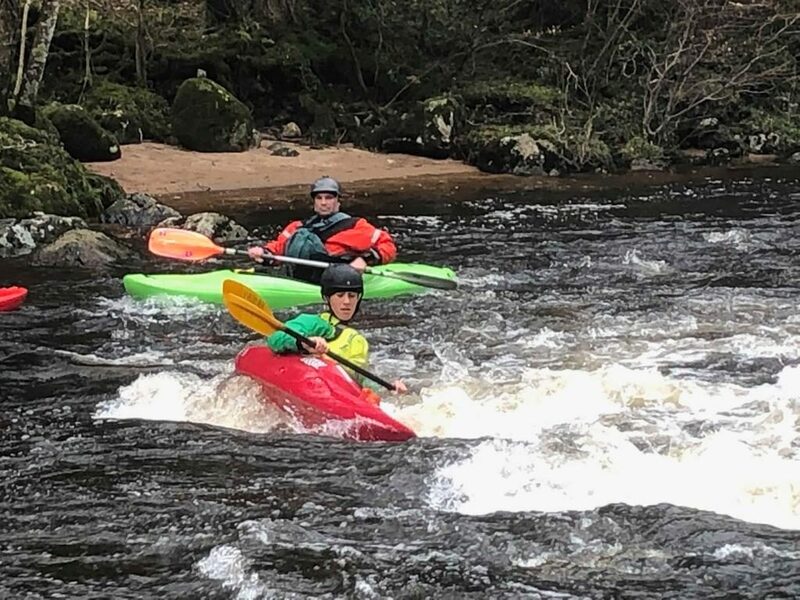 We had great fun overtaking other groups, running the river and generally playing silly games whilst also developing our skills in paddling as a group on moving water. We finished at a wonderful cafe where we had a debrief about the day and some of us had a delightful cream tea. What a fantastic end to a fantastic day out on the river with the best of people. Thank you to all that came on this amazing trip. I can’t wait to be out the river with everyone soon. We have had no fewer than three longer distance races over the last month. Waterside A, Great Bedwyn to Newbury, on 24th February was on a glorious spring day, the first time I can remember a Waterside race where cags were cast aside by most paddlers. Even with the mild weather it was a tough race of 13.5 miles with 21 portages. A big “Thank you” to our supporters, the organisers and marshals. Starting from Aldermaston Bridge, Thameside 1 is a time trial down the Kennet and Avon Canal, onto the river Kennet, through Reading Town Centre onto the Thames then upstream and over Caversham lock to finish at Reading Canoe Club. A distance of about 12 miles with 12 portages. The weather was certainly testing from what I hear (I missed the race as I was in sunny Seville) A small team from Pangbourne entered. Simon TC in SMK1 was 6th/10 in 1:48:35. Jarvis M paddling with Rachel (Reading CC) was 2nd/18 in Mixed K2 in 1:51:00 – a really good result! Many thanks to Reading Canoe Club for staging this event. Well let’s hope that this is true after being buffeted by strong winds with gusts over 30mph on Waterside B. This race is 17.5 miles/19 portages from Newbury to Aldermaston and back. The outward leg with the wind more or less behind us was not too taxing but the return leg, into the wind, was a real challenge. At times I was paddling and felt that the boat just wasn’t moving forward at all. Fay B and Caroline W had a fine race coming 3rd/5 in mixed K2 in 3:10:00. Robin T and Tommy F also claimed a Bronze in Junior/Vet 3rd/8 in 2:55:40T. Simon TC, K1 Senior was 6th/12 in 2:46:48 in a strong field. In Canadian doubles James B and Peter W were 4th/10 in 3:15:21 despite taking two swims. However, they now know that their boat is easy to empty! Vicky M and Liz M (BCCC) were 5th/10 in 3:16:11. Vicky had not been feeling well all week so did well to compete at all. Steve M came 14th/21 in 3:21:28 having argued with a low bridge and lost, resulting in a swim. Wedding Bells I’m pleased to announce that David M and Beverley H have announced a date for their wedding. They are getting married on 18th. Congratulations to you both. Crossing from Dover, our intrepid group of paddlers will travel in MPVs through France over night to our campsite in Langeac, where they’ll spend the week paddling various parts of the river dependent upon numbers and abilities – an ideal trip for 2 star standard paddlers or people who want to try moving water. A Happy New Year to all paddlers! The race group celebrated the festive season with a post paddle feast and presentation of the Senior and Junior Lynn Francis Club Trophies. This year the senior trophy was awarded to Hazel B for her helpfulness with the Club and determination in the boat. Hazel did the intro to race boats evening course in summer 2017 and raced with her son in the Nationals in 2018. 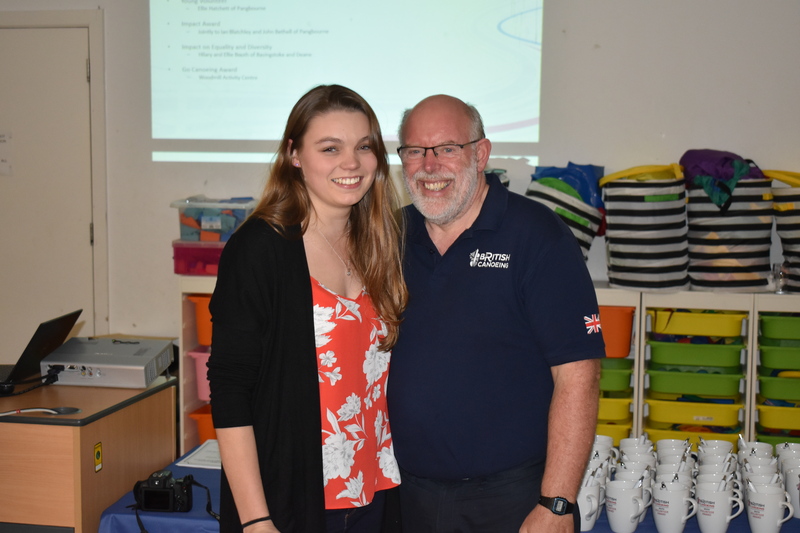 The junior trophy was awarded to Daisy for her consistent effort in both marathon and sprints and moving up to a Cougar from a beginner’s boat. On 6th January we competed in the Frank Luzmore Race. This was a 20.5 km race with three portages. About 150 boats K2s and C2s took part. The weather was fine, and the flow slow compared to recent years, so no records were broken. 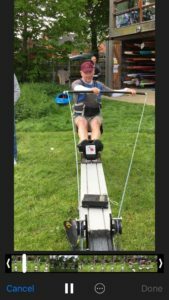 The fastest boar on the water was the Chelmsford crew of Keith Moule and Matthew Johnson who completed the race in 1:25.13 in an exciting finish with Matthew Bowley (BPR) and Tim Pendle (NOR) only three seconds behind them. 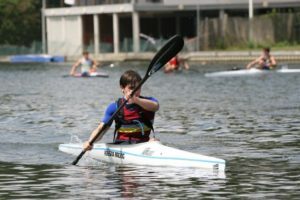 The fastest Pangbourne paddler was Jarvis M who completed the U18 men’s in 1:40.25 paddling with a partner from Devizes. 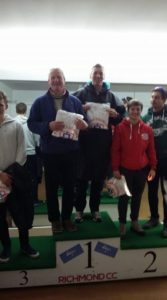 James B and Peter W had a solid performance in their C2 missing the third-place podium for Senior Mixed B by 30s. Fay B and Caroline W had an impressive race breaking the 2-hour barrier by three seconds. Vicky M and Liz from Basingstoke had an interesting start with boats colliding, but their skilled paddling kept them afloat. They were the top all female C2 crew, also beating the 2-hour barrier. Steve M and Paul A came in in 1:53.18. I spotted a seal in the water just after Teddington but cannot claim that this slowed me down. 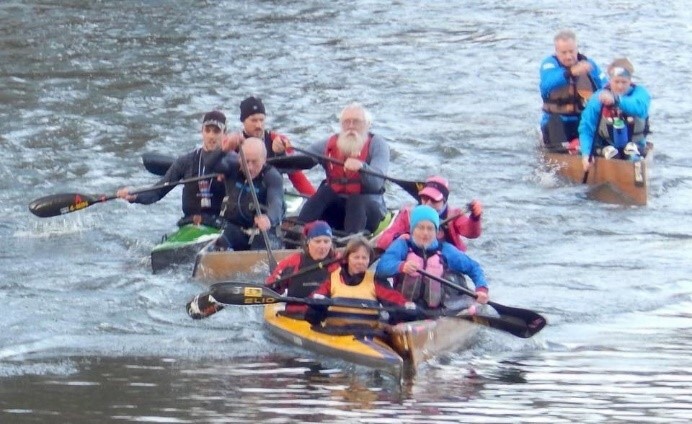 The next race is the Charles Hicks Challenge at Mytchett, home of Basingstoke Canal Canoe Club on Saturday 26th January. 13 miles and 10 portages. If you are not competing and are willing to help, marshals are needed for the Waterside Series (contact Bill Whittaker) and Devizes to Westminster, particularly the Bruce Tunnel (contact Adrian Wheeler). Any help gratefully received. This has been a momentous year. The site that we are on is owned by the Pangbourne Parish Council and the building we are in is leased by the District Council from the Parish Council. The District Council, along with most other local authorities, are in severe financial difficulties and they tried, unsuccessfully as it turned out, to run the Centre on a break-even basis. They then looked to the private sector to take over the running of the building but there were no takers. One Company would have taken the building but they wanted to install a gym on the first floor and subsequent testing showed that the floor was not strong enough to take the weight of the equipment and potential users. So the Council then offered our Charity the opportunity to take over the running of the Centre. We then prepared a Business Plan which showed that we had sufficient reserves to ensure that come what may we could run the Centre for at least 3 years. The Business Plan was a joint effort by all Trustees but thanks are especially due to David Appleton for undertaking most of the spadework and to Sarah Westall for giving the Plan a presentation polish. So we took the plunge and told the Council that we would be prepared to go ahead and since April 2018 we have been running the Centre. The Council, who will need the approval of the Parish Council, have promised us a lease for an initial three years, which will be extended indefinitely if we make a financial success of running the Centre. I did see and commented on a draft Lease in June but unfortunately have heard nothing since. I would add that the Parish Council have been 100% in favour of the charity taking over the running of the Centre, so no problem there. And just for the record can I say that I have a 30 year background in local government and I know where the bodies are buried but I can assure you that no deep-seated skulduggery is afoot. I don’t see the delay as a cunning ploy by the Council to see if we make a success of running it and to then flog it off. We will get our Lease eventually. The figures that we were given by the Council showed that they were spending over £50K a year running the Centre. Here I want to pay the warmest of tributes to Trustee Steve Ellis, who heads up our Facilities team, comprising Nick Hatchett, Chris Whitehead, Bill Whitaker, plus Jonnie London and Robin Tilbury. Thanks to their heroic efforts the cost of running the building has been greatly reduced – one can not be precise because until we get a lease the Council are still picking up the utility bills, and the cost of some of the work that is needed on the structure should in our view be picked up by the Council rather than ourselves. But in very broad terms we appear to have reduced expenditure by as much as 35-40%. Turning to income we have our membership income of around £5K and again a warm thank you to all those Club members who run our evening courses, which bring in £10K. We have discovered that letting income – thank you again Sarah Westall this time for handling the bookings, generates an income of £16K, so with an existing income of around £31K we are close to break=even. That is an incredible result in such a short timescale and it would not have been possible without your efforts . However at the moment the Centre is inactive during the day as regards outdoor activities. We did not rush into filling this void because of TUPE (Transfer of Undertakings) legislation. If TUPE had applied to our takeover we would have had to take over existing paid staff. 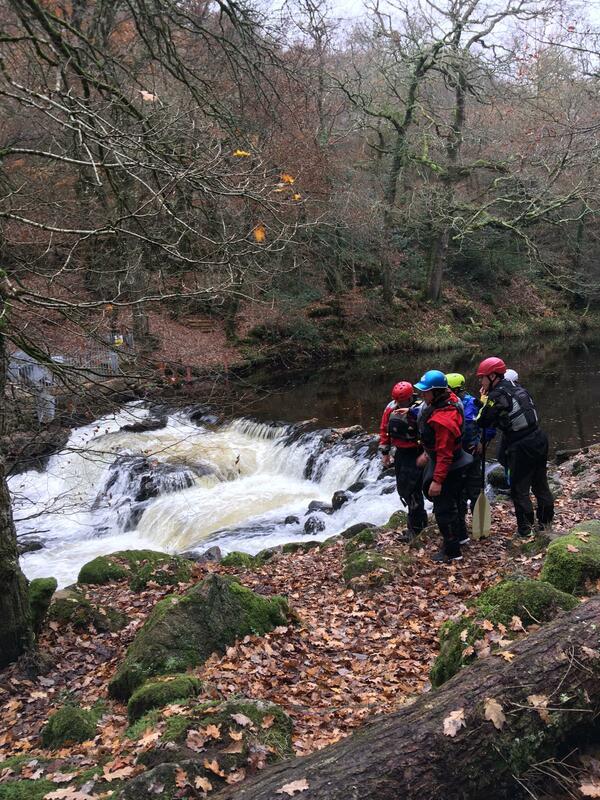 We are past that potential problem now and I am pleased to say that we have reached agreement with Dave Hopper of the Outdoor Academy who from this April will hire the downstairs of the Centre and our equipment on weekdays and holidays to run a schools programme of activities. The additional income will of course secure us financially and if Dave Hopper makes a success of his new venture, as I am sure he will, that will benefit us even more. Dave will now be approaching schools who formerly used the Activities Team, West Berkshire and will also be recruiting instructors. So if any Club members know of schools who might be interested or are personally interested in becoming an Instructor could they get in touch with Kevin in the first place. The upstairs office is much larger than we need and another proposal, which is being investigated, is the possibility of Pangbourne Physio Centre paying us to use part of the office area as an exercise Centre. I mentioned how supportive Pangbourne Parish Council have been. I chanced to meet their Chairman Rob Holden in the street two days ago and he told me that the Pangbourne Business Forum had raised over £500 at the Xmas festivities and that sum, generously topped up to £1000 by local MP Alok Sharma was being donated to us. In addition Pangbourne Rotary Club have made us their nominated charity for receiving the proceeds of the Pangbourne Art Exhibition – April 12-14th. This is held in the Village Hall, as the Centre is not big enough, but I hope you will support the event as the more support there is the larger the donation to us. We expect that donation to also be around the £1000 mark. It has always been one of my maxims in life that buildings don’t make organizations, people do. Ensuring our Charity is successful is very much a team effort. It is no point having a magnificent Centre if it is not being used. Just by becoming a member you contribute to that success but as this Charity is entirely run by volunteers, there are some among us whom I want to mention by name. You probably know the famous saying by Napoleon, the pig in George Orwell’s ‘Animal Farm’ – all animals are equal but some are more equal than others – I have already mentioned Nick, Chris and Bill on the Facilities Team. They have done tremendous work. Step up for a small liquid recognition. Communication with the membership as well is vitally important in any organisation and particularly in one such as ours with no paid staff. So step up Donna Hatchett and Corinna Baillie with grateful thanks for all that you do. Of the Trustees I have already mentioned David Appleton, Steve Ellis and Sarah Westall. I have not so far said anything about our Treasurer, Tony Fitzgerald, but we would be lost without him. He has a full-time job and really busts a gut for us. Ed Edwards, Bob Feuillade, Alan Brown and Kevin Dennis are our activity squad – liaising with our many leaders – ensuring that we are an active charity and all our activities are safe. Sadly we are losing two of them, who are stepping down. David Appleton has been a tower of strength to me as regards the business side of running the Trust. He came with detailed knowledge of the inner workings of West Berks Council and that too has been tremendously helpful. Tim Metcalfe is also going as he is standing down from the West Berks Council after many years. To be honest, with David and Tim on our side I sometimes almost felt sorry for those on the other side trying to argue the West Berks case! Tim it was who organized the very successful Race night on September 7th, which raised £1100 for the Trust. Step up David and Tim for some more liquid refreshment. When David Appleton steps down at the end of this meeting I shall be losing both a friend and a Vice-Chairman. It is a matter for the Trustees rather than this meeting but I just wanted you to know that I shall be nominating Steve Ellis to succeed David as Vice-Chairman. He has done a magnificent job heading up the maintenance team, and I am sure he will be a worthy successor to David . I am also very pleased that Joy Jamieson has volunteered to become a Trustee – that makes two lady Trustees and as Joy has agreed to act as our Secretary that is another load off my mind. I will finish by mentioning the Adam Vaughan fund. Adam used to be a member of Adventure Dolphin. When he was at Cardiff University and Vice-Chairman of the University kayaking club, he went on an expedition to the Andes and was accidentally drowned. 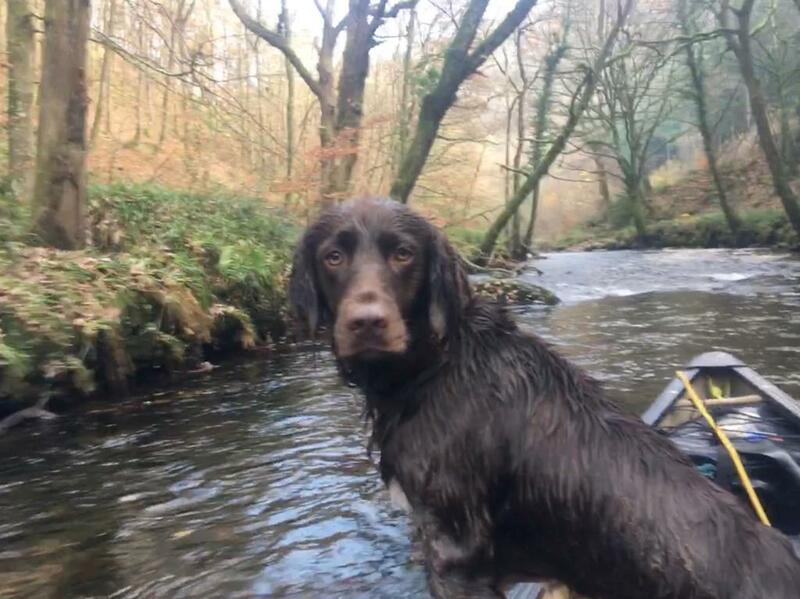 His parents then donated £1600 to us to set up a fund in his memory to fund either white water safety and rescue training and/or kayak coaching training- aimed at young people who would both benefit from but would find it difficult to fund it themselves . 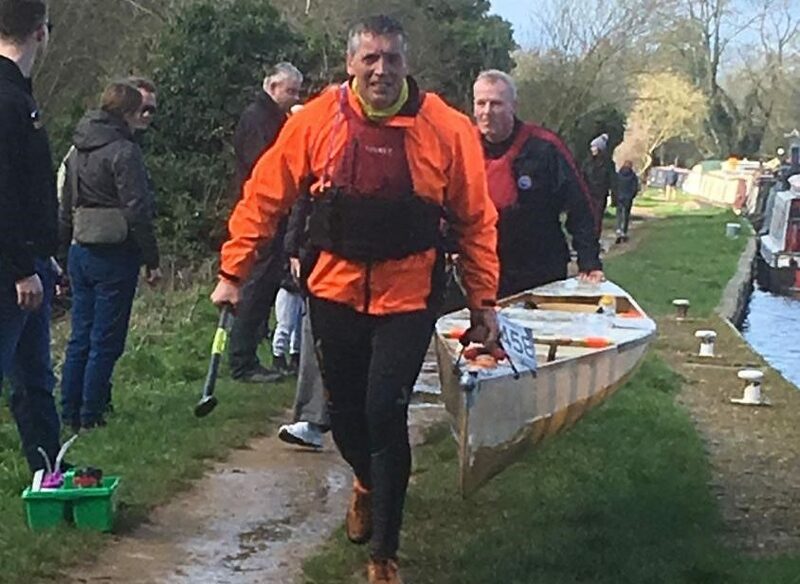 The main event since the last newsletter was the Ross Warland Memorial Challenge – a 20-mile race starting and finishing at Banbury Canoe Club. Our thanks to Banbury for hosting this. Congratulations to all who took part, paddling this not insignificant distance in either K1, K2 or C2 is not for the faint hearted. In all, there were 175 paddlers in 107 boats (K1, K2, C1 and C2). Jarvis M paddling K2 with a Reading paddler broke the Junior Record in a time of 02:47.39. – the highest of fives to you Jarvis! Also, boldly going where no paddlers has gone before, Vicky M with Liz from Basingstoke Canal Canoe Club, were the fastest C2 (double canoe) on the water completing the 20 miles in 3:37.01, more than 10 minutes ahead of the next C2 to finish. This may be the fastest C2 time in the history of the race, we are fairly sure it is the fastest for two female paddlers. The crews of Robin T/Tommy F and Steve M/Paul A put in a good performance in K2 finishing in sub 3hours 30minute times. Caroline W/Fay B were not far behind in a very respectable 3:40.42. Peter W/James B paddling C2 beat their target time of 4 hours. Jonathan C/David C competed in their first long distance race (in fact, their first race). They had a good first ten miles plus but towards the latter part of the race they capsized on more than one occasion: this would have been end of sports for a lesser crew but they just got back in the boat and finished the race. Well done gentlemen! The Stour Descent due to take place in December was cancelled due to high water so we did not take part. Vicky M/Liz M raced in the last Thames 10K series race (The Royal) and were the only C2 on the course – these ladies are really taking their DW training seriously. This was supposed to be a 10K race, but it was more like 14K. Now that the cold weather is beginning to hit, we need to remember to wrap up warm. Wear layers – you can take them off if you’re too hot but if you go for a swim and don’t have appropriate kit you are putting yourself at risk. Pogies, beany hats, a cag, spray-deck and buoyancy aid etc could save you from hypothermia. If paddling in the dark you must have a white light showing front and back (technically through 360 degrees). This is more so that you can be seen than to see. Wear bright clothing with reflective/luminous strips, again to be visible. Correct kit! Steve and Paul and Ian and Tim paddling in conditions where most people would not consider leaving the comfort of their bed, never mind going paddling. Jensen pushes Peter along in a K2. Ian and Robin in the background – all suitably wrapped up! Our next race is the Frank Luzmore Memorial Marathon: 20.5 km, 3 portages over boat rollers or locks between Elmbridge and Richmond on Sunday 6th January 2019. We look forward to a good turnout for this as its good preparation for DW. This year we have several crews training for the Devizes to Westminster Race over the Easter weekend. All the above races are good preparation for this. With the Charity taking over The Centre from West Berkshire the summer courses were very important. 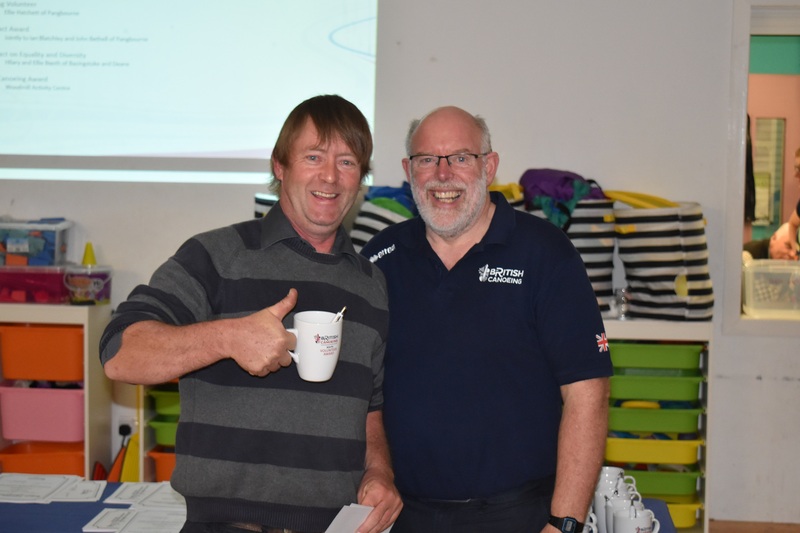 We had the paddle machines out at the Come and Try sessions and some racing boats which gave people the opportunity to experience life in a fast boat. 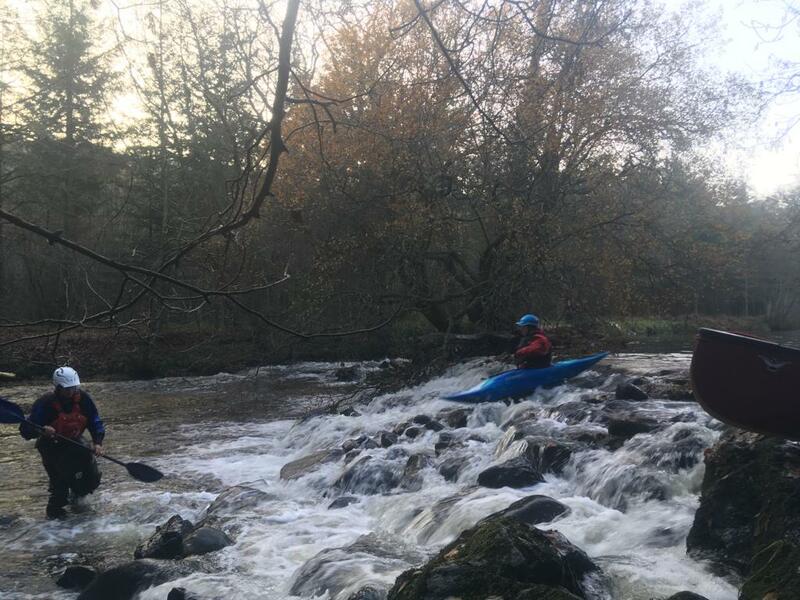 We also ran two Introduction to Race Paddling courses on Thursday evenings. On the actual racing front the year got off to a good start in January with Peter W and James B winning the Senior Men’s C Class in the Frank Luzmore Memorial Marathon in 1:43.32. James was promoted to division 5 based on this result. Peter and James on the Frank Luzmore Race: 30 stone helped with the momentum into the wind. 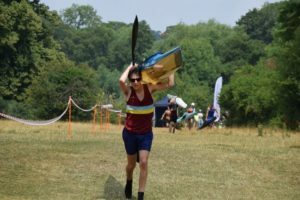 The summer provided excellent weather for paddling and The National Championships at Reading in July was a fabulous event right on our doorstep. The top result was gold for Vicky M in the VLK1 – we have a National champion in our midst! 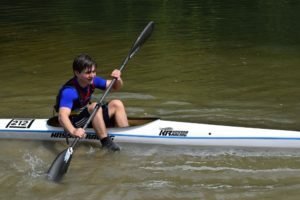 Tommy -Nationals beach portage – a quick exit. 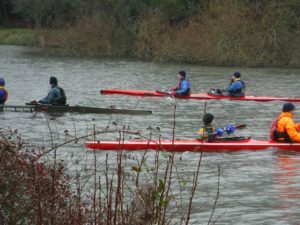 The Watersides and Devizes to Westminster Race were affected severely by the weather: Watersides C and D being cancelled and the DW stopping at Dreadnought Reach. With a late Easter we can hope for better weather in 2019. All our crews were disappointed to stop early after spending months preparing for the event. However, they will be back for Devizes to Westminster 2019. 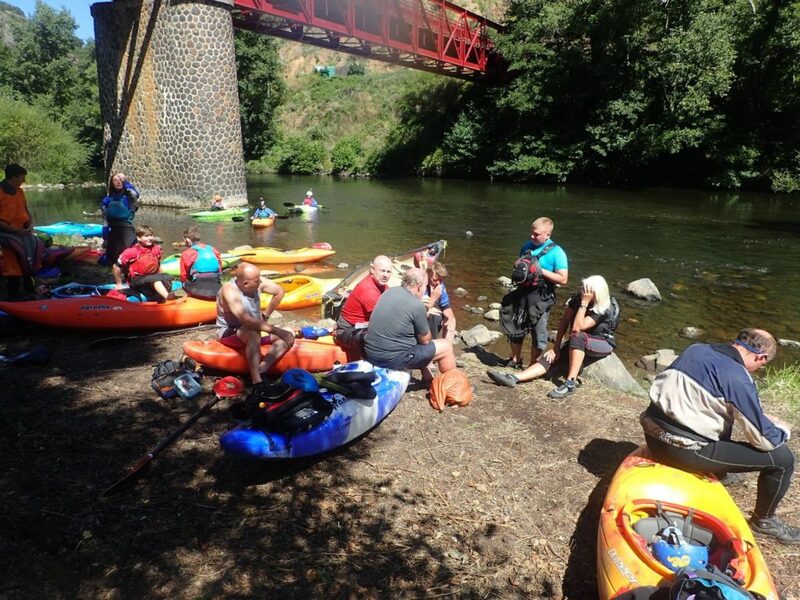 This year Vicky M and Liz from Basingstoke Canal Canoe Club travelled to France to compete in the Dordogne Integralle, an 80-mile canoe race through some interesting water and beautiful scenery. 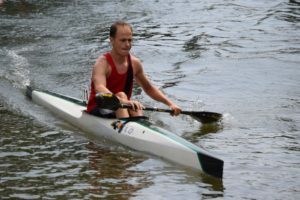 Peter W travelled to Cornwall to compete in the Fowey Hasler, coming fifth in div 4 K1 in 1:13.02. The Club was represented at Nottingham Sprint Regattas in July and September. Nottingham is arguably the “home” of sprint racing and these are national championships so there was strong competition from clubs nationwide. Daisy, Jensen and Rees competed as juniors. For Jensen and Rees this was their first experience of sprints. Our main sprint paddlers, in no particular order, are Simon TC, Owen B, Conor M, Tommy F, Mark W, Matt W, Robin T.
The main events are run over 200m, 500m and 1000m so distances are short compared to marathon where the shortest race is normally about 6.4km. The best results were Conor M and Simon TC winning Bronze medals in the Men’s under 23 1000m K2 in 4 m 28.87 s and Matt W paddling with a Bishop Stortford paddler taking Bronze in the Men’s Open K2 200m final in 43.85s. Fantastic results in a National Event! 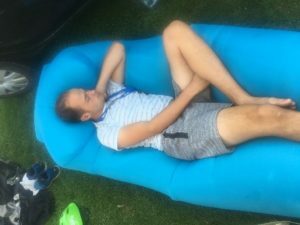 Peter W produced a summary and analysis of 2017-18 Hasler Series Results (thanks, Peter). This shows that we have had a good year with 36 paddlers entering Hasler races during the season. We didn’t make it to the finals but there is always next year! Top of the points scoreboard were Jensen M and Owen B. Owen was promoted from division 6 to division 4 and Tommy to division 5 over the course of the season (he is now in division 4, promoted at the Nationals), so our younger paddlers are doing well. 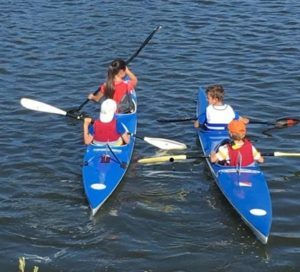 We have some good paddlers but are keen to increase numbers so if you are interested in having a go in a racing boat contact one of the race coaches – if you choose to wait until the summer months that is probably quite sensible! With so much happening it is difficult to choose just one event, but for me the highlight of 2018 was our own Hasler race in September, back at Pangbourne for the first time in a few years. 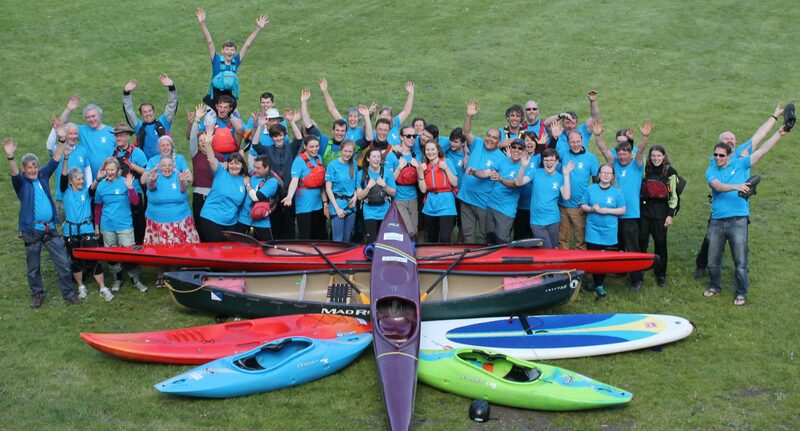 So many members of Adventure Dolphin from all paddling disciplines, not just the Race Group, pulled together to run an enjoyable and efficiently managed event which raised the profile of Adventure Dolphin within the local community and with British Canoeing. Thanks again to all those who volunteered. 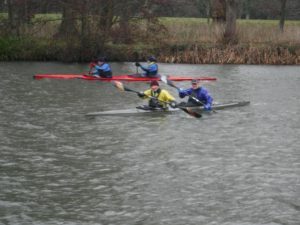 February will see the start of 2019’s Waterside Series, a set of four races organised by Newbury Canoe Club (NCC) that covers part of the Devizes to Westminster (DW) race course, designed to give DW competitors the chance to experience and practise the whole DW course in the weeks before Easter. 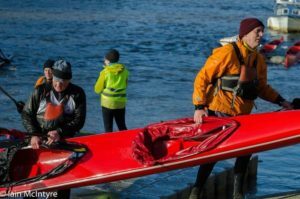 Traditionally, Adventure Dolphin members have helped to marshal these races, and in return we have received a financial contribution to our club. So, here’s our call for help – if you are a marathon paddler who is not racing or supporting a crew, or a paddler within the club, please would you join us as a marshal to assist with a variety of activities such as making sure that the paddlers, supporters and the general public are kept safe when the portages around locks involve crossing roads. All families are welcome and if it’s your first time, you’ll be partnered with someone who knows the ropes! Refreshments are provided free of charge and we can assist with transport as locations include: Kintbury, Marsh Benham, Bulls and Aldermaston locks. The average day starts around 9am, and finishes at approximately 1pm depending on the location. 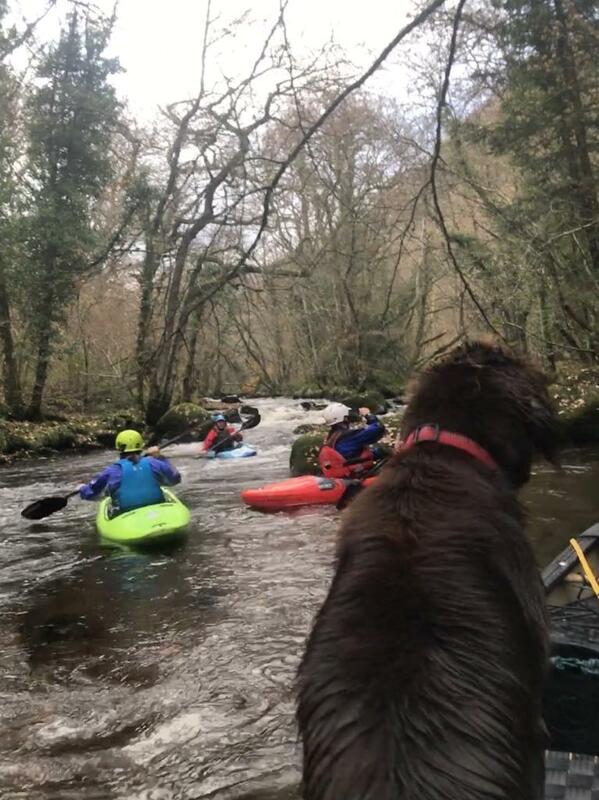 The Teign was quite a paddle! 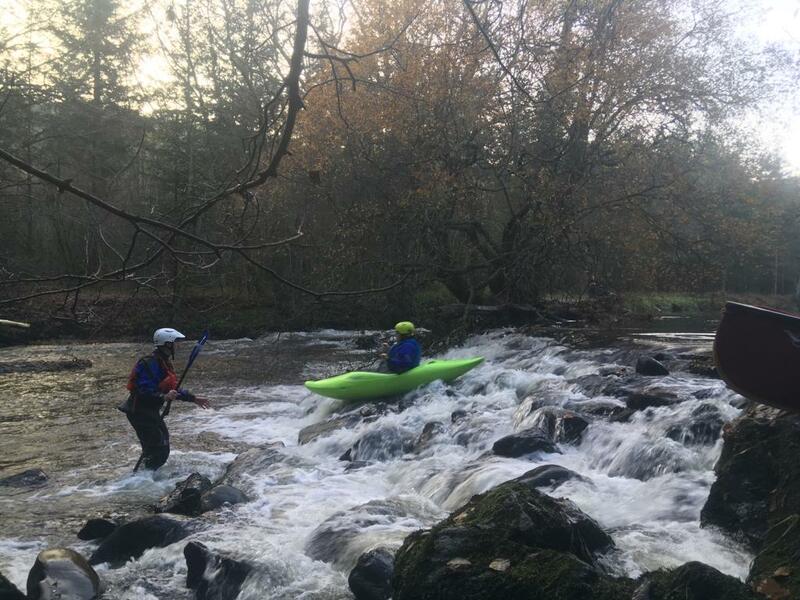 The River Teign white water kayaks and open canoes trip (North Dartmoor) on Saturday 17th November proved to be an excellent day out for all, with some interesting technical challenges, set within the beautiful woodlands of the Teign Gorge in the National Trust grounds of Castle Drogo. Ian Blatchey (Scampi) organised the trip and took a quick dip as he got on (Shhh don’t tell anyone!). Alison Stephens turned out to be our star paddler, Mike Kew was excellent and Cliff Coombes was our joker! Many of our paddlers are still confused about the correct way to pronounce ‘teign’! Pub locals called it ‘teen’. Doesn’t match the ‘teign’ in Teignmouth (‘tin’) or Bishopsteignton (‘tane’)!! Much doom and gloom was posted on Facebook by various people prior to the trip. Their opinion appeared to be based solely on water levels on gauges. One person said the river was ‘empty’ and another suggested it wasn’t worth bothering with. Not true. Just for everyone’s information we did not paddle the river blind. Sally and Adrian Moon did a comprehensive recce the day before. They walked the entire higher technical section and observed from both sides of the river. 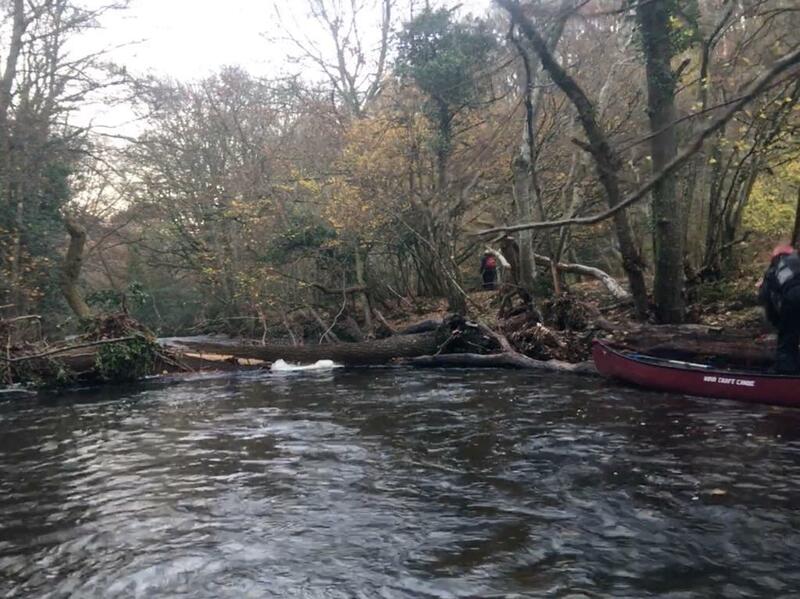 Yes, it was low and certainly technical in places meaning decisions had to be made about lines etc, and the open canoeists decided to portage in places (thanks again for your help Colin Greaves!) No point in risking a broken boat or body. Fallen trees across the river also slowed us up. Although we all agreed that it was a great day’s paddling. 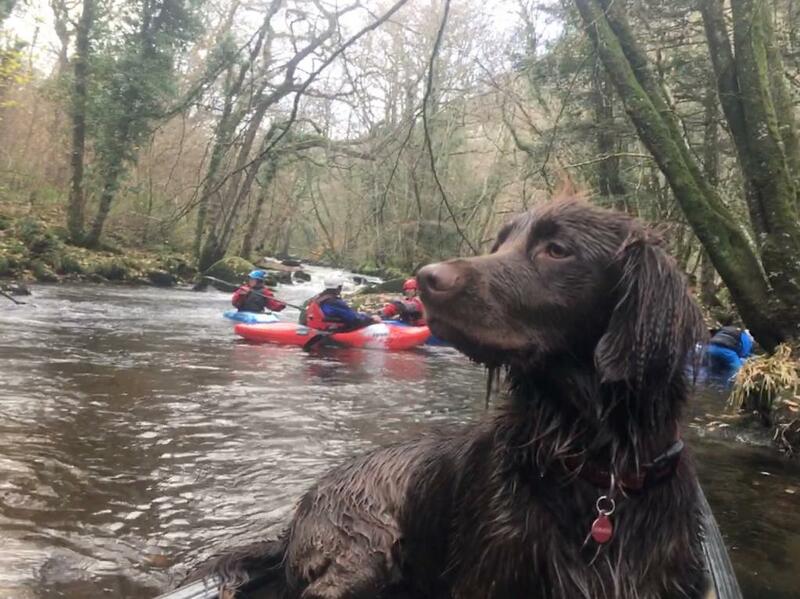 Sally, Lizzie and Jane enjoyed the river side walk, and Tenzing (Ed’s dog) had a fantastic time running around when he wasn’t in the canoe or riding the rapids! To see what other outings our Trips Planning Team have in store for us visit our online calendar. 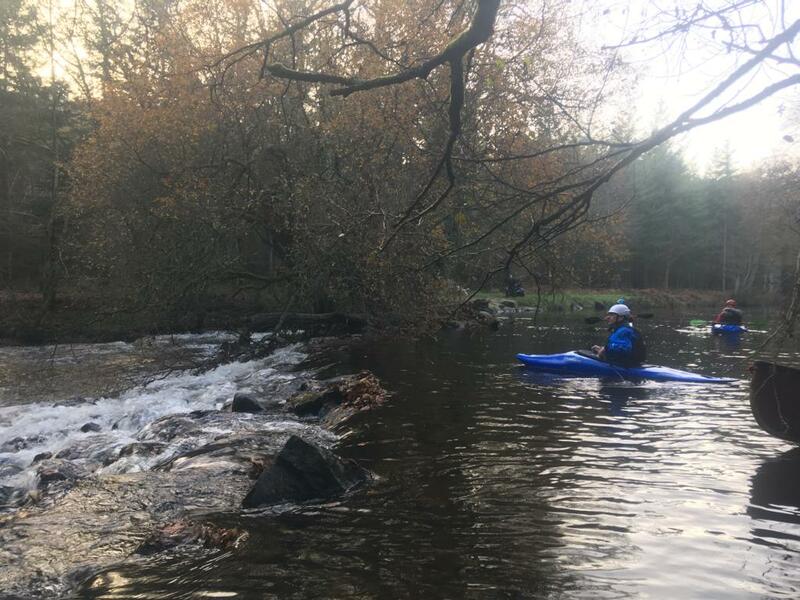 December includes the Santa Paddle on the 16th, a trip to the River Barle on 29th December and the Boxing Day paddle starting at Pangbourne, followed by mince pies and mulled wine. Mermaids! What in the Thames? Our Sunday morning paddlers came face to face with a self-confessed mermaid last month. The mermaid AKA, open water swimmer, Lindsey Cole, swam past them while on course to complete her 200 mile swim of the Thames to raise awareness of the environmental effects of single-use plastic. Lindsey took to the water at the beginning of November in a wetsuit, tail and woolly hat about 20 miles from the source of the river at Lechlade, Gloucestershire, and is describing herself as an “Urban Mermaid” as she is appealing to passers-by to litter pick and add to her mermaid sculpture that is being towed by her support canoe. It is thought that by the end of their travels (Teddington) that they will have created a giant mermaid sculpture made out of plastic bottles that is representative of how we are choking our rivers with plastic. 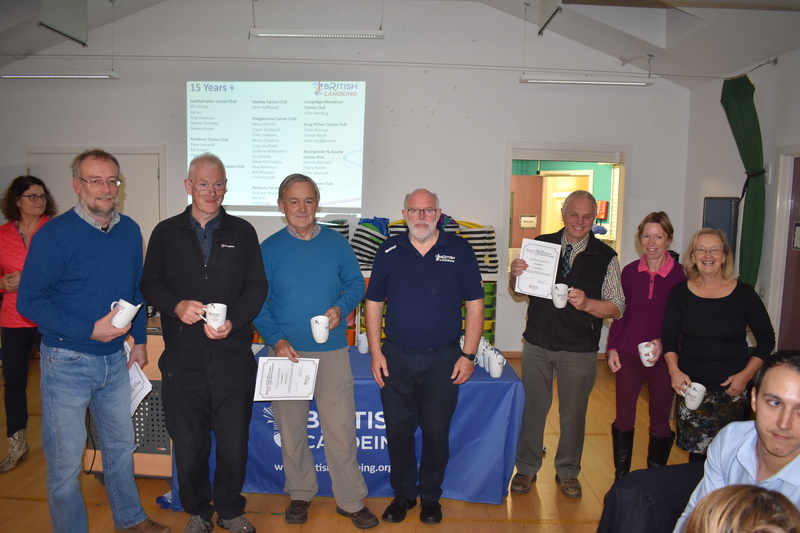 Congratulations to all of our volunteer members who received awards at British Canoeing’s Southern Region (Oxfordshire, Buckinghamshire, Berkshire and Hampshire) award ceremony on Tuesday 20th November, held in Pangbourne. 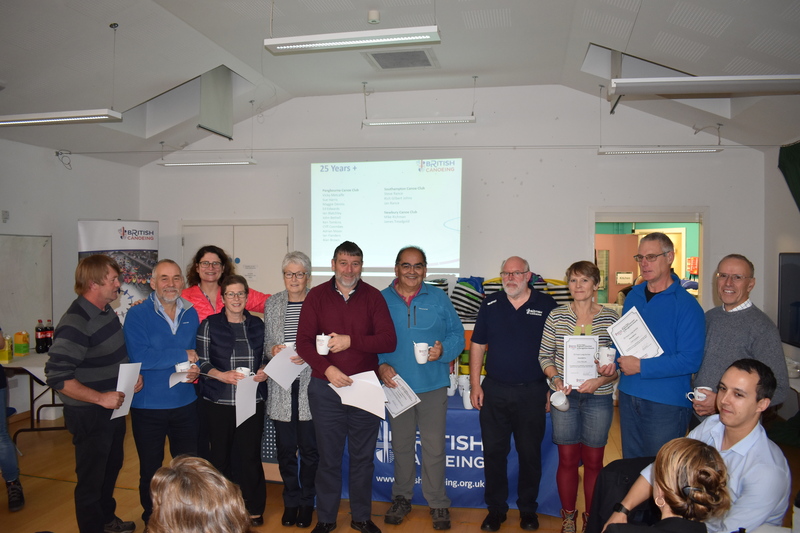 Attended by various clubs throughout the region, our members received awards for long service, impact and volunteering.